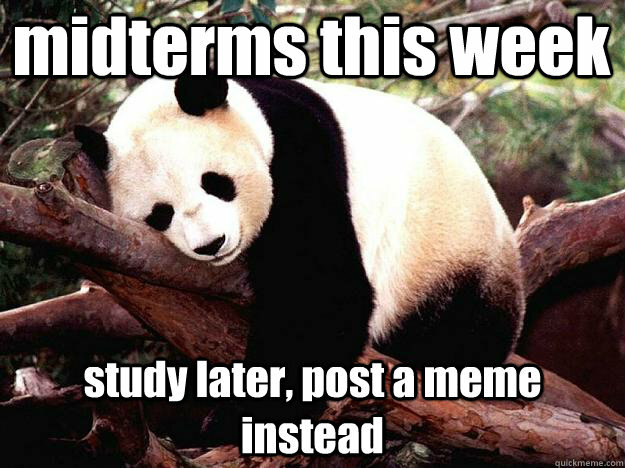 Few things will strike more fear into the hearts of college students than hearing the word “midterms.” (Okay, finals, too.) I’ll give you all a second to shudder. These “mini-finals” range from routine quizzes to comprehensive exams. A lucky few have none at all. These tests can drain us dry and make the subsequent fall break that much closer yet still oh so far. Junior Christina Roby lamented the fact that there was an essay to write in one of her midterms. “I’m good at writing, but not in-class writing,” Roby said. In-class exams are a scary story all on their own. Students and zombies alike engage in an epic struggle against the clock to hopefully come up with something coherent to write. Comprehensive exams are probably the ones that are most dreaded. Everything from August to October has to be culminated and synthesized in one final moment. Any amount of studying seems like it isn’t enough to contribute to the desired result. So, what do we do? We either become the aforementioned zombies or leave it up to fate. After all, how in the world can this exam of these proportions be conquered? The ghost of an unwanted result can haunt a well-intentioned, studious zombie for semesters on end.